Increase your cash flow potential by using this bachelor module in your building concept. A perfect choice for affordable housing! Our standard bachelor model is a compact, modern design filled with all the requirements for a single person to live comfortable. 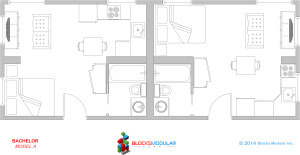 An excellent module to replace some of your one bedroom modules with more profitable opportunities. 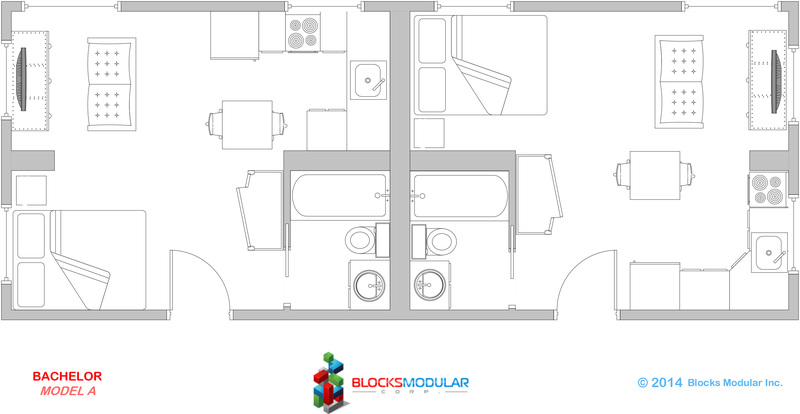 If you are looking to create affordable housing units, this module is an ideal choice.